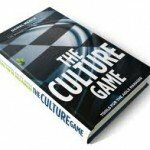 Daniel Mezick, author of The Culture Game, has compiled an intriguing list of books that discuss various approaches to changing cultures. We are happy to announce that We the People made the list. Organizations develop cultures. They communicate in specific ways, share common behavioral expectations, and value similar ideas. These are not always positive or even productive. Even when they negatively impact effectiveness and harmony, they persist. Culture hacking is changing those cultures from within the organization. We are thrilled to be in the company of Open Space Technology, Tribal Leadership, The Culture Game, Systems Thinking: Managing Chaos and Complexity, Reality Is Broken, Delivering Happiness, The Fifth Discipline, Beyond Empowerment, The Reengineering Alternative, and many others including several titles on adopting the team approach used in Agile Software development. Agile developers have been particularly attracted to sociocracy for some time. These books provide an understanding of cultures and describe tools and techniques for instigating change in formal and informal organizations. Underlying culture hacking is an understanding of effective culture design. for people who hire other people and convene meeting.